How do we tackle the devastating harms of criminalization imposed on communities of color that continue, among other things, to prevent us from creating an inclusive democracy? The movement for restorative and transformative justice in schools offers a path forward. Parents and students have built an alternative framework to repair and restore relationships and decolonize how our institutions work. Please join this conversation on how we can move from social control and criminalization to inclusive democracy and liberation. This event is presented jointly by the New School Henry Cohen lecture series and the National Economic and Social Rights Initiative Michael Ratner Roundtable series. It is part of a larger conversation being advanced through the New Social Contract project. The project seeks to build a collective new understanding of ourselves as a country in order to face the challenges revealed, as the fragile veneer of our democracy has been pulled back. It also focuses on community- and social movement-driven solutions to our deepest problems and argues that the many transformative solutions already being practiced at a smaller scale provide the scaffolding for a new social and economic model that can define our future. 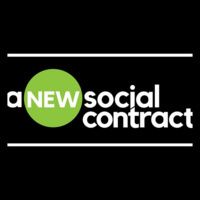 You can read or download the New Social Contract at www.nesri.org/initiatives/ansc.